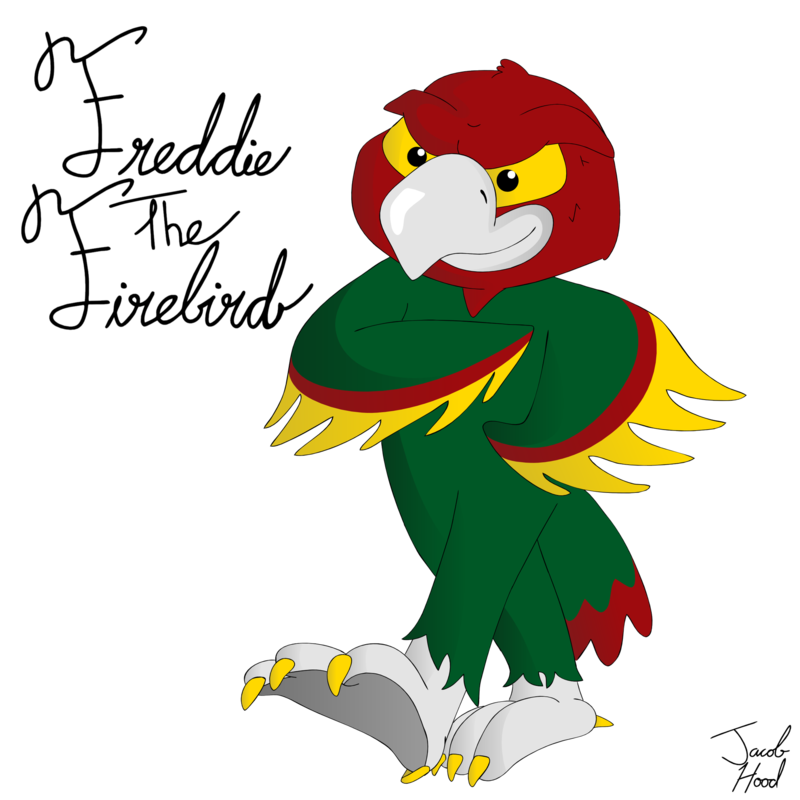 Freddie is a phoenix who is the Free State High School Firebird mascot. Freddie's very outgoing, friendly, social, and nice to everyone. Well, almost everyone thanks to his very prominent and sarcastic sense of humor. Freddie has a shadowy superhero alter-ego known as "The Phoenix", who protects Free State from the evil USD497's school board villains. The Phoenix is the leader of the Firebird Action Hero Response Team (F.A.H.R.T. ).